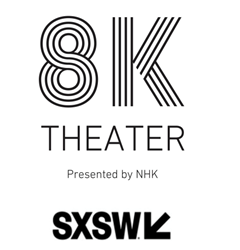 NHK, Japanese public broadcaster, has announced that it will host an immersive musical 8K theater experience at the upcoming SXSW conferences between March 13 – 15, 2018 in Austin, Texas. The 8K theater will boast an impressive experience open to SXSW attendees focusing around musical performances that will showcase the magic of sound and vision through the lens of 8K. Showings in the SXSW theater will include 2D and 3D musical experiences showcasing the 8K theater ranging between jazz, classical and even rock. Performances from Chick Corea and Herbie Hancock Live in New York, Toshiko Akiyoshi NY Jazz Legend 70th Anniversary Show, Barcelona’s Sound of Sagrada Familia conducted by Kazushi Ono, Catalonia National Orchestra and Japanese rock group, Sakanaction will all be in rotation throughout the conference. In addition, previous NHK 8K 3D music contents from past SXSW exhibitions will be shown. NHK, who has previously partnered with France’s Louvre Museum to co-create 8K content related to art has set its sights on disrupting the viewing of musical performances. The 8K theater experience boasts 8K technology that offers 33,000,000 pixels, 16 times more than that of HDTV (2K) and 4 times that of 4K. 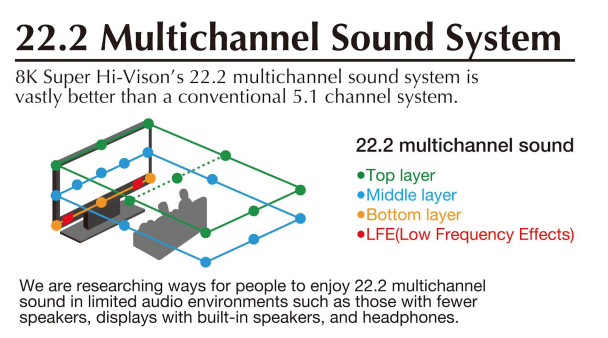 The theater will project visuals and images onto a 200-inch screen along with immersive 3D sound from a 24-unit speaker system spread throughout the theater’s entirety. In addition to the 8K theater experience, NHK has also announced that it will also be releasing the first ever 8K compatible satellite broadcast channel. The channel will be released on December 1, 2018. NHK, Nippon Hoso Kyokai (Japan Broadcasting Corporation), is Japan’s only public broadcaster. As a public broadcaster funded by fees received from TV viewers, NHK delivers a wide range of impartial, high-quality programs, both at home and abroad. NHK will launch an 8K satellite channel in December 2018.